I decided to just get you my raw notes and impressions from the exhibit hall floor, formal briefings and shop talk. First Impressions: •	Orange continues to be the new black. Seems that everyone wants to imitate kCura •	Automation is everywhere. Frequent flyer marketing terms include Simple, Efficient, Automated, Integrated. •	What’s with all the empty booths? Kept seeing booths without reps. •	Good size crowd of attendees, but serious reduction in the number of booths. The entire 3rd floor is empty. •	Briefing sessions alternated between the Sheraton and the London. Problem is that several elevators were out at the Sheraton… •	How do I know it is Legal Tech time? It’s snowing! •	Don’t do videos or even demos beyond screen shots at conference. Save them for post conference online meetings. How Do You Code for Doc Review? Before I can assess the potential improvement or Return On Investement (ROI) for process or procedure changes, we need the current average cost of discovery broken out by stages, providers and data sources. Someday a client will know what they are spending and getting before they ask for help. It has not happened yet. So we identify a couple recent matters as good exemplars covering the primary matter types and I get to match 6-12 months of invoices against tracking spreadsheets and Relativity reports to determine metrics like review rates, total cost per document, relevance richness and more. One thing that drives me crazy during my invoice analysis is differentiating time associated with document review into key buckets, especially for paper docs that require bibliographic and unitization coding. The ABA created the Uniform Task Based Management System (UTBMS) codes in the 1990’s and the Ledes Oversight Committee has continued to evolve eBilling codes for Tasks, Activities and Expenses associated with most legal work. I participated in drafting the 2011 LOC eDiscovery Codes as well as the revised 2013 Revised Activity and Expense Codes. All of this effort was meant to give timekeepers and clients consistent ways to measure and track the costs in modern eDiscovery. I just wish most of my clients and their firms actually knew about this and used them. Instead, I see counsel throwing everything under favorite basic UTBMS Litigation codes (generally L110-L140 & L320). To make matters worse, most service providers have not even considered coding their time based services performed under direction of counsel. Counsel considers service providers an expense, but many times they have associates training new TAR systems, performing QC or directly coding subsets of the collection based on search terms. So how do I untangle the invoices? Going all the way back to Arthur Andersen/Enron, the cover-up is always worse than the original crime. Serious déjà vu as I read, How VW's In-House Lawyers Screwed Up a Litigation Hold. In VW’s case, counsel ‘leaked’ word of the impending legal hold to key custodians who scrambled to delete thousands of documents and even instructed an emissions related subcontractor to purge documents. All of this came to light when regulators started their inevitable interviews with key employees. I don’t know if you have ever been in the mythical hot seat as a witness or potential suspect of a criminal investigation. During my admittedly short years stint as a CSI, I enjoyed watching investigators and defense attorney’s crank up the heat, even when it was my turn. That heat hit BROIL during the Enron investigations and subsequent litigation. Watching those bad actors fold taught me that company loyalty only goes so far. I was lucky that my bosses at El Paso Corp took the high road thru those dark times. As the newly minted discovery manager, I had to find and turn over all the bad apples asap and sign off on the completeness of document demands. So once again we see corporate malfeasance transformed to criminal indictments when the guilty parties try to hide the evidence. So how do we cut off the instinctive cover-up reflex? update their offering profiles. The eDJ Matrix contains over 500 companies with over 900 offerings. Every year, I blast all the profile managers with my reminder that it is eDiscovery/IG buying season, so update your profiles with your new product releases! And every year a larger number of bad email addresses bounce back as upper level marketing/product managers do the eDiscovery shuffle. I had roughly 50 from my Monday blast. The fun part is getting to see where they have landed for the ones that have already registered new accounts for their new roles. With all the acquisitions and RIF’s in the last year, I should not be surprised. Sufficient to say that I would not consider most eDiscovery providers to be a life-long career choice. Maybe that explains the resume roulette that we see every year on the exhibit hall floor. I used to make a game of checking under the keyboards at the booths to see how many had resumes stashed under them. Try it, you might be surprised. It looks like Gartner is looking to broaden their executive strategic services down the chain to more practical-tactical management best practices for HR, sales, finance and legal/compliance. Gartner is paying $2.6 billion for CEB Inc. CEB Inc. describes itself as, “a best practice insight and technology company. We have a unique view into what matters—and what works—when driving corporate performance. With more than 30 years of experience working with top companies to share, analyze, and apply proven practices, we deliver innovative solutions that help you unlock your full potential.” Some might be surprised at the price tag, but CEB Inc. expects roughly $950M in 2017 revenue, which makes this a 2.7x multiple acquisition price, pretty much what you should pay for a public services company. Back at LTNY 2008, Barry Murphy and myself sat at the Hilton Lobby Lounge and were inspired to start eDJ Group by the service gaps we saw in Gartner and Forrester. Right idea, we were just too far ahead of the market. Sad story of my life with start ups. In Situ eDiscovery – Myth or Reality? As I finally come up for air after a whirlwind quarter, I realize that LTNY 2017 is around the corner and I have not even started booking briefings and social time. This is what happens when you go silent to get things done. I updated my LTNY tracking sheets and see that the consolidation trend continues to shrink the number of exhibitors and sponsors. Or maybe all the mid-tier providers have fled the high booth costs for lower cost suites in adjacent hotels? It will be interesting to see how many ‘mini events’ have sprung up this year to take advantage of eDiscovery’s largest gathering. The private customer panels run by Lighthouse last year reminded me of the early LTNY panels when I spoke as El Paso Corporation’s litigation support director. Much more transparent and down to earth compared to some of the sponsored panels I have moderated in recent years. I guess the small venue environment allows the panelists and audience to feel more intimate and comfortable. As you can see to the right, the numbers of LTNY exhibitors and sponsors continue to shrink. 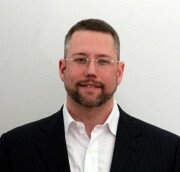 My name is Greg and I am a recovering eDiscovery consultant, market analyst, researcher and blogger. I hope my readers have missed my sometimes acerbic, always unfiltered commentaries while I struggled to complete my dream home last quarter. If you have ever contemplated building a house, DON’T if you value your sanity, savings and relationships. The good news is that I am back. The other news is the slow transformation of eDJ Group back to a pure consulting practice. In essence, Mikki and I have returned to what we do best, solving eDiscovery problems and saving clients money. It took a year for all this to shake out and for me to decide what to do with the eDJ brand and research engine that so many of you have participated in or used for research on trends, products and best practices. The good news is that we have wonderful clients who want us to stay independent, so I am not selling eDJ to one of the new eDiscovery borgs that have been Pac-Man gobbling up all the small providers. Instead, I am working with my old developer to convert the website to a completely free commentary hub. So what does that mean? Following the recent announcement that EDRM co-founder George Socha had joined provider BDO, the EDRM organization itself has been acquired by the Duke University School of Law for an undisclosed amount. This should not surprise industry veterans who have been watching EDRM for years as other education and standards organizations have gained market acceptance. From my perspective, the EDRM delivered great value and materials in the first 5-7 years when new practitioners needed a common vocabulary and process definition. It was never a true non-profit standards organization like the LTPI or the LTC4. Maybe moving under the academic umbrella will encourage participation without the agendas of commercial sponsors and partners. As our industry slowly matures we need more unbiased resources and authorities to keep up with our ever changing sources of ESI. The EDRM had a good run. Let’s hope that Duke Law gives it a new focus and solid foundation to serve the community. Still Buying eDiscovery by the Gig? Why? Old habits die hard. Consumers have been buying eDiscovery processing and hosting services by the Gigabit ($/GB) since the early 2000’s. I remember how the first copy shops with a Discover-e or LAW license struggled to estimate the hours required to process folders of MS Office files. In the beginning, volume pricing gave buyers a predictable cost to collections. Now the average $/GB has plunged as better technology and automation has commoditized the real cost, quality control. I got the chance to insert a poll question into the recent BNA webinar on Reusing Collections sponsored by Catalyst. With over 350 registrants, we got almost 50% attendance and a great way to get a fast metric on how attendees buy eDiscovery today. What surprised me was the 18% who purported to use enterprise systems to handle all eDiscovery processing in-house. Ever wonder what happened to your favorite local or even national vendor? Last week’s rebranding announcement of UBIC/Evolve/TechLaw to FRONTEO forced me to do some overdue maintenance on the eDJ Matrix and got me thinking of brands. We all know that the eDiscovery market is slowly consolidating as it matures. Just watching DTI gobbling up regional shops like pac-man reinforces the “Join, or Die” message that I have blogged on far too many times. A couple quick searches and database checks revealed that most brands disappear in full mergers or acquisitions such as the formation of Omnivere or Consilio. So the FRONTEO rebranding is almost a hybrid merger/branding exercise. TCDI just renamed themselves CVFox and CSDisco is now just DISCO. As our market matures and providers try to differentiate themselves from every other Relativity partner, I expect to see more companies shed older generic name elements such as documents, solutions, services, copy and even discovery. So what lessons should C-suite officers take from the Hillary’s EmailGate? Whether you are or report to a CIO, AG, CCO or any other alphabet exec, you should realize that many or most of your board members and other key custodians under legal hold are using Gmail, Yahoo or even personal domain email and IM accounts to communicate with their peers and social network. Most of these communications, like our Sec. of State, will be purely personal and not contain anything relevant to regulations, active litigation, etc. After 25+ years of internal investigations, custodian interviews, regulatory requests and even congressional inquiries, I can assure you that buried in that sea of golf tips, shopping lists, illicit love notes, grandbaby pics and more are unintentional stock tips, early earnings numbers and worse. Life and network is just different at the top of the corporate feeding chain. Too many execs making 7+ figures do not believe that the rules apply to them. What is worse is the proven fact that they are right. SaaS/PC-TAR Distracting Consumers from Mature eDiscovery? As I was comparing the responses from my 2016 Multi-Matter eDiscovery Survey to the original 2013 survey responses, I found a surprising decline in consumer awareness and importance of multi-matter functionality. Given the very strong ROI from my 2013 interviews and case studies, I expected that corporate legal departments would demand cross case reporting and data management features to reduce custodian impact, reprocessing ESI and review errors. After consideration, I have a tentative theory that the hype cycle around SaaS platforms and PC-TAR has focused consumer attention on single matter efficiencies rather than overall eDiscovery management. Many of the new and established cloud review platforms have limited cross-case functionality. Providers such as Epiq, LDiscovery and Lighthouse have custom Relativity dashboards, reports and tools for customers, but my survey indicates that multi-matter functionality is not driving provider selection. It should make for a fun Bloomberg BNA webinar next week with Adam Barr (Catalyst) and Jaime Myers (Caterpillar). So join us for pain points and best practices of creating a true eDiscovery lifecycle next week. Some time back, kCura enabled their service channel to essentially resell non-volume based enterprise ‘seats’ to customers on a subscription basis. This was the first crack in the traditional $/GB volume based consumption model outside of on-premise consumer purchase of the technology. Epiq’s Arq℠ is a productized example of a kCura channel partner reselling hosted Relativity as a managed service. Other kCura partners have similar formal or ad-hoc offerings with basic Relativity or with their own integrated reports, templates or other enhancements. Epiq just announced a ‘new’ version of Arq, which I hope incorporates the new interface released in Relativity 9.3. With kCura now directly selling Azure hosted Relativity to consumers as RelativityOne, it will be interesting to see how pricing stacks up when or if kCura makes the RelativityOne pricing model public. For any of you thinking that these SaaS versions of Relativity actually break the $/GB model, I am sorry to report that the monthly subscription rate still seems to be directly pegged to your total volume capacity on the system (based on recent RFP engagements). That is as close to pricing as I will get, but it seems to me that this must be related to kCura license fees as it cannot be attributed to Azure’s pennies/GB storage overhead. OpenText Buys Recommind – Fire Sale or Safe Exit for Investors? OpenText is a traditional enterprise document management technology company that has struggled to bring practical analytics and automated categorization functionality to the corporate market. The acquisition of Recommind for $163M is very similar to Microsoft’s acquisition of Equivio back in 2014, but for a much lower revenue multiple. Recommind stopped releasing their revenue numbers when they brought CEO Steve King on board to refocus on cloud based SaaS services instead of direct enterprise sales. Given that OpenText is only predicting $70-80M in Recommind driven revenue in 2017, I am guessing that Recommind’s investors only recouped a 2x multiple. That is practically a fire sale level in Silicon Valley terms and reminds me of Symantec’s acquisition of Clearwell. The article mentions several recent departures of high visibility execs from Recommind preceding the acquisition, which is usually a bad sign. My blog last September reviewed Recommind’s revenue history and plateau. My main concern for customers with active matters hosted with Recommind in the Cloud is whether OpenText will continue to support the SaaS model. I will be watching their 2017 GTM materials carefully and you will undoubtedly get my unvarnished opinion. Got a Multi-Matter Success Story to Share? Then I would like to hear about it. Several years back I conducted research on the impact and adoption of multi-matter functionality in review platforms that supported cross matter collections and review work product. I conducted 15 hour plus long interviews accompanied with a short survey. The research report gathered attention and I did a webinar sponsored by Catalyst that dove into the results. While wading through client matter costs on a recent ROI engagement, I was pleased to see law firm tech time charges for culling through prior collections, review and productions. I was happy to highlight how that savvy counsel saved my client time and money. It got me wondering whether smart consumers have up’ed their game in the last 2-3 years and are finally adopting a pro-active cross matter approach instead of the traditional reactive, fire-and-forget matter strategies. So take my Multi-Matter 2.0 survey and email me if you have a multi-matter success or disaster story to share.